September 11th, the Russia-APEC Conference on Cooperation in Higher Education in the Asia-Pacific region began on the platform of the fourth Eastern Economic Forum. 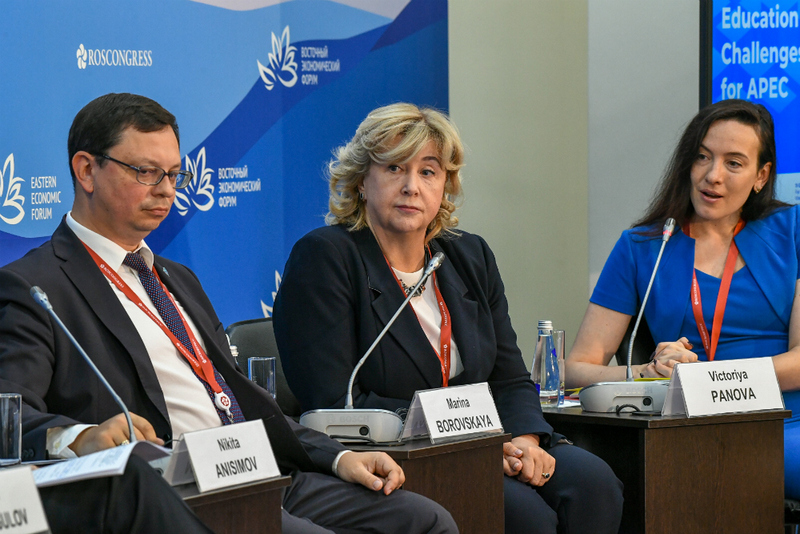 The event was kicked off by the Rector of the Far Eastern Federal University Nikita Anisimov, the Deputy Minister for Education Marina Borovskaya and the Deputy Foreign Minister, Igor Morgulov, who welcomed the guests and wished them fruitful discussions. The first plenary session on «Education in the digital era: challenges and opportunities for APEC» was attended by the rectors of universities from China, Japan, Vietnam. Many participants noted MGIMO University’s contribution to developing educational and scientific ties with APEC countries as well as the quality of its research activities.